I was looking for an excuse to buy the Birchbox Limited Edition: Charmed Life box, since the first time I saw it. Well, during the Cyber Monday sale with the extra 30% off, I couldn't resist. I used some points I had racked up, to make this box a great deal! We recently re modeled our master bedroom and spruced up the guest room, so I knew I could use most of these items in the guest room. I couldn't wait to see everything in person. I love the box it came in. Perfect for gifting! Here are the samples I received for free with my order. That pretzel was yummy! The box included an information card explaining everything in the box, but I didn't take a picture, oops. So, I'll just move on to what was in the box. 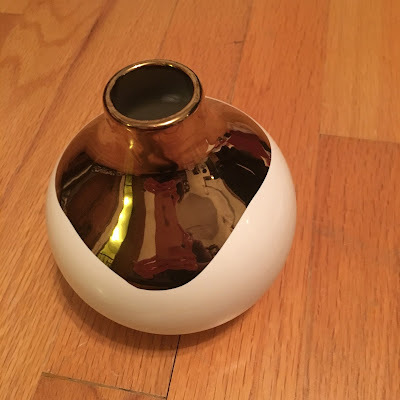 The Canvas Home Dauville Multiple Bud Vase in Gold is beautiful. Right now I have it sitting on the dresser in the guest room, but I still need to find some pretty flowers to fill it with. It's exactly what the room needed! I love the white vase with gold accent. It looks fancy and grown up, but still modern, which is exactly my style! I received the Illume Demi Vanity Tin in Desert Tulip with Matches. I like the tin that the candle is in. It kind of reminds me of a lipstick tube and is painted in bright colors. 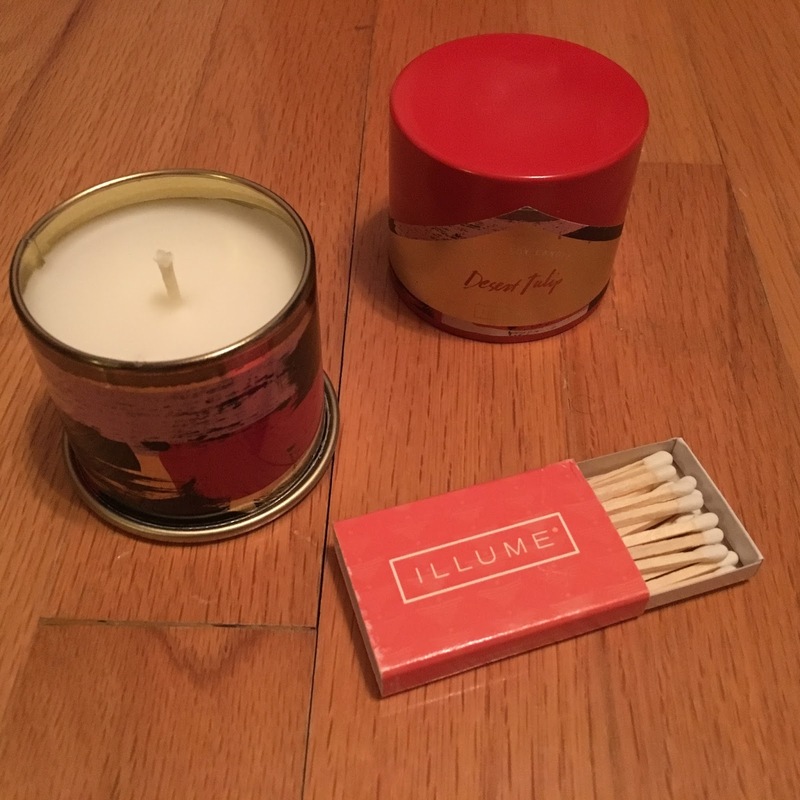 The candle smells really pretty too! 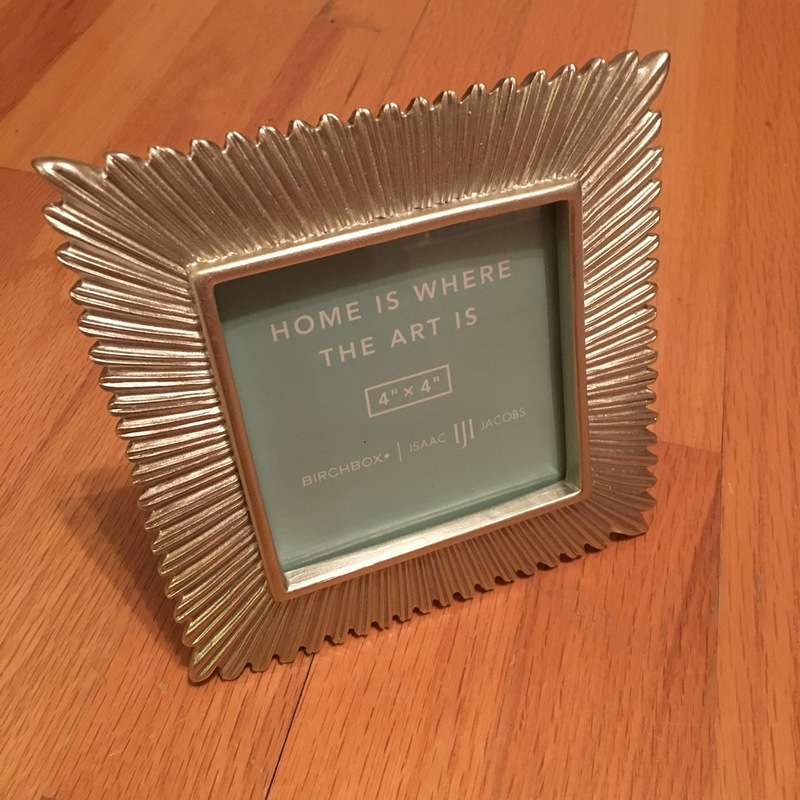 This is also in the guest room on the dresser, just in case I decide to sit in there and relax and want to light a candle. The Isaac Jacobs Sunburst Picture Frame was my favorite item in the box. 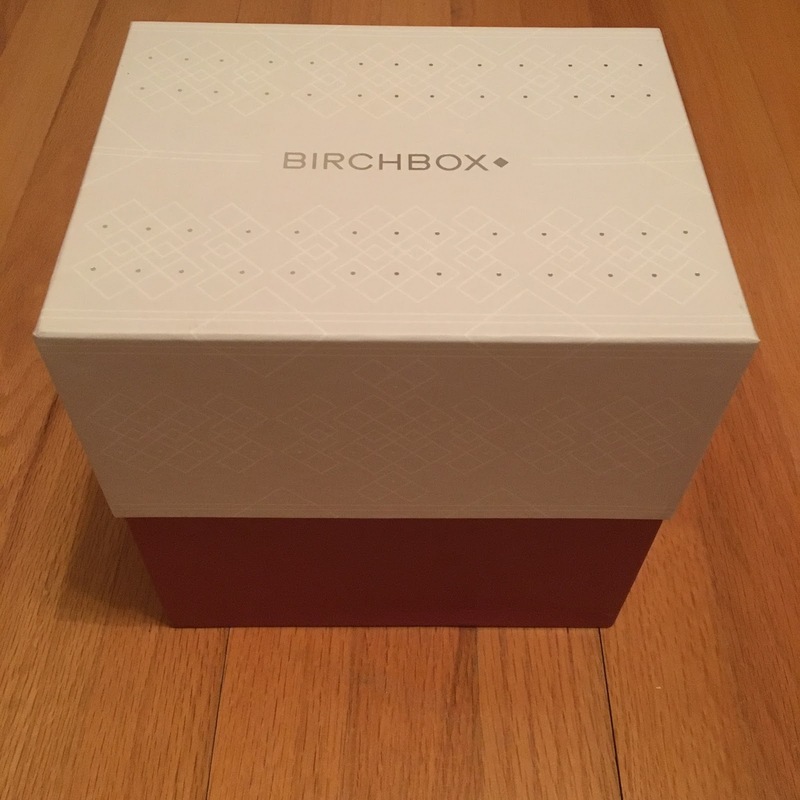 This is a Birchbox exclusive! This is a well-made frame and I love the sunburst design. Like everything else so far, it found it's home on the dresser in the guest room. I'm not sure what type of picture I'll put it in yet, but I'm thinking I'll change it out seasonally to keep it looking fresh. Right now I need to find a holiday inspired print to put in it! I also received the NUXE Huile Prodigieuse Sample Size. This is an oil that can be used on your face, body, or in your hair. I tried it on my face and it worked well and didn't make my face greasy. I'll definitely try it on my legs too! I've tried the Tocca Crema da Mano in Cleopatra before and I really like how soft and moisturized it makes my hands. 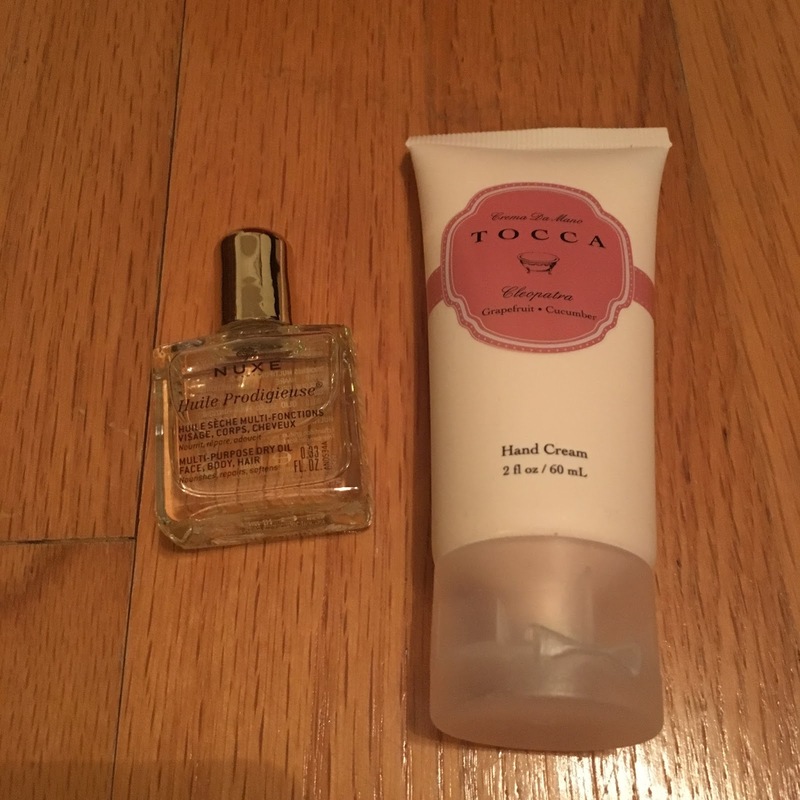 I'm not crazy about this scent, but the formula is perfect for our dry winter. I'll definitely be keeping this in my bag. 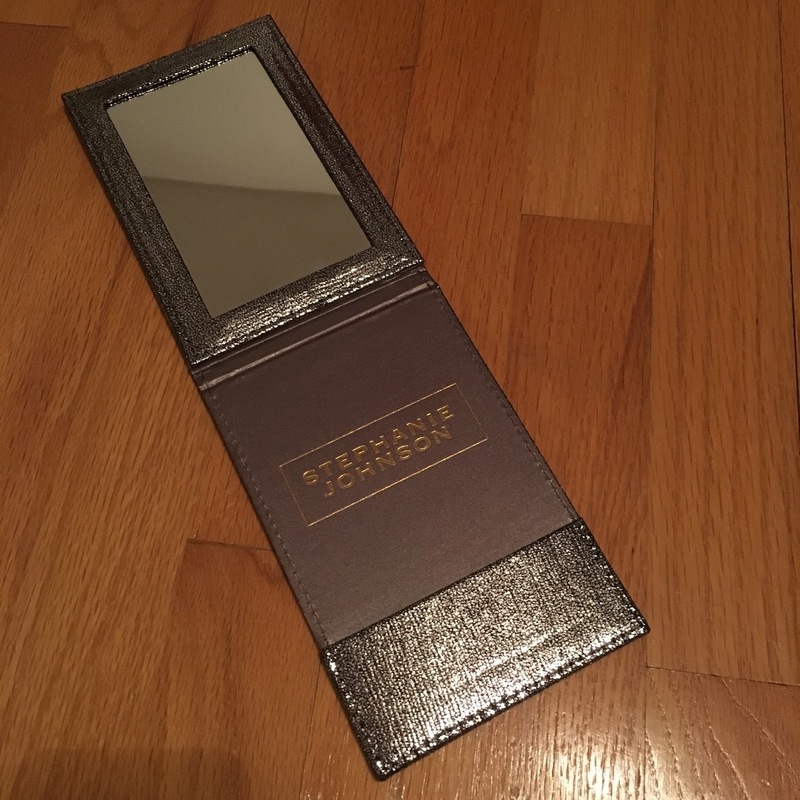 I loved the Stephanie Johnson Folding Mirror! This is a great size. 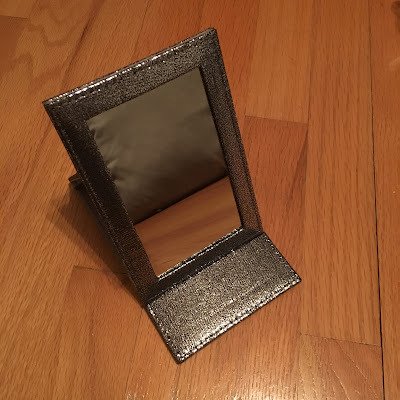 I wasn't sure what to expect, but it's bigger than a compact mirror and nicer. I love the stand and I love how it closes to keep the mirror clean. I also like the metallic case it's in. It's like a compact mirror you would use for traveling, but much larger and nicer than the one I currently use, so this will be traveling with me from now on! 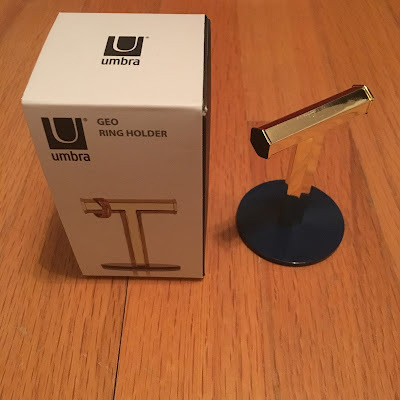 The Umbra Geo T Ring Holder is so pretty in person. It is heavier than I expected, so it won't fall over when I put rings on it. It looks perfect displaying my rings in my jewelry area. The base is navy and the T part is gold, which is a perfect color combination for my room. I wasn't sure if I would like this in person, but I really do! I'm very happy with the Birchbox Limited Edition: Charmed Life box. It went perfectly with my style. I like how everything looked perfect together and added some sparkle to my room. I will use every item and I'm very happy with the quality of it all. This was definitely worth a lot more than I paid, which makes me very excited. 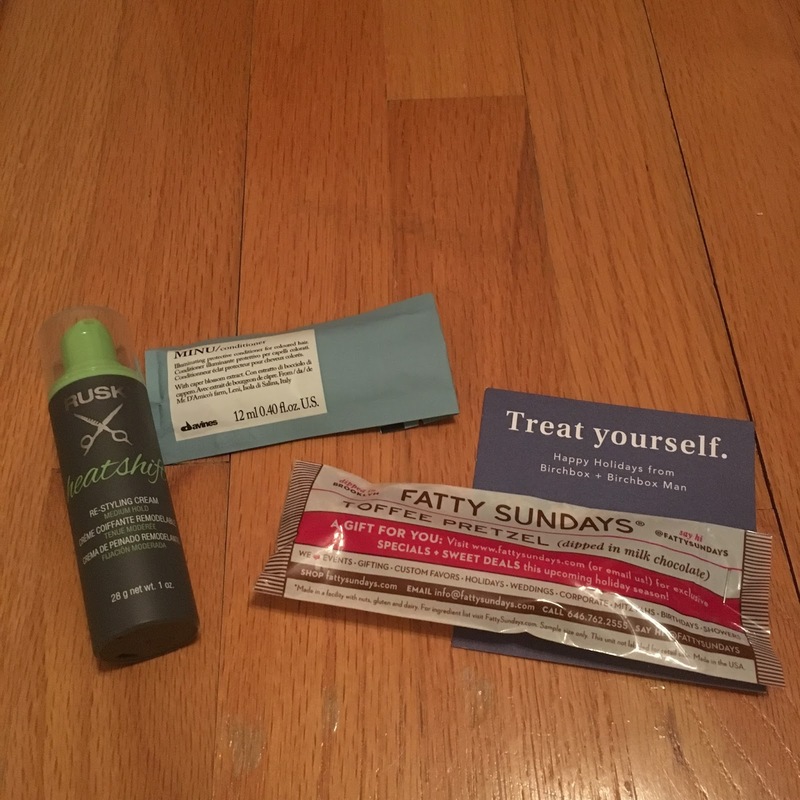 I always love the Limited Edition boxes that Birchbox puts together. They're always a great value with nice and unique products!